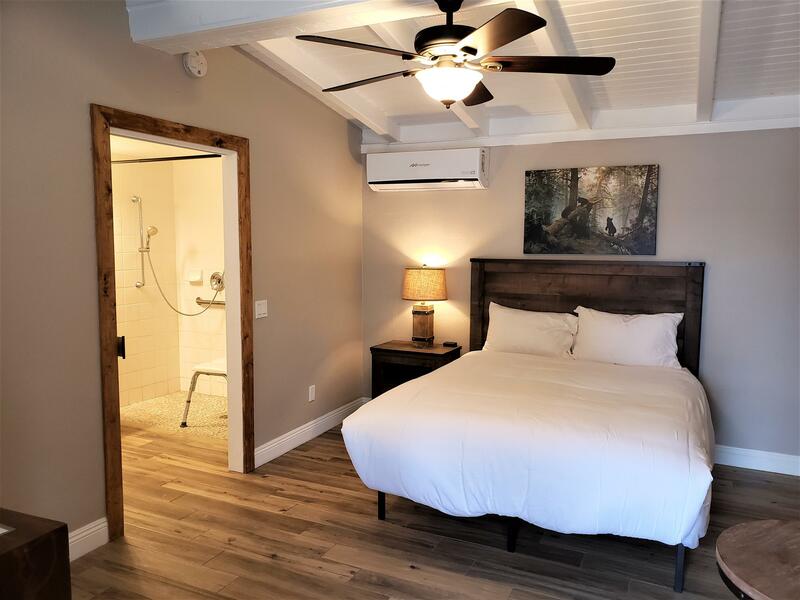 The Apple Tree Inn located at 4360 Highway 78 in Julian CA 92036 wants ALL guests to have a thoroughly enjoyable stay and we are committed to those with disabilities to have equal access to our quaint, boutique motel. Our website is designed with WCAG 2.0 standards and we are committed to maintain a Level AA success criteria for our guests who use assistive technology. 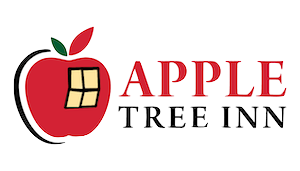 Any guest encountering challenges should contact us at 760-765-0222 and/or email at JulianAppleTreeInn@Gmail.com. The room is very spacious but upon request your Inn-Keeper will remove any unwanted room amenities such as chairs or tables providing even more space. 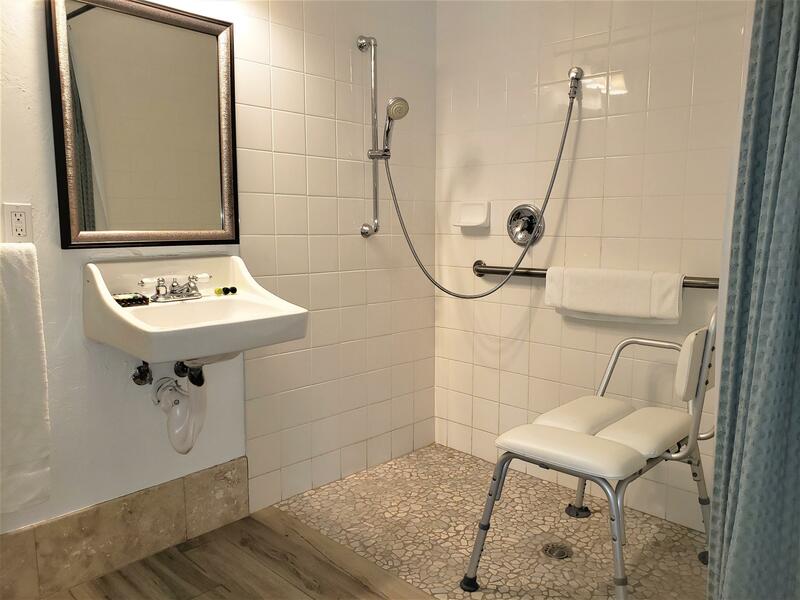 This accessible unit will be reserved for disabled guests until all other Deluxe Single Queen rooms have been booked. If you are having difficulty trying to book a room or check availability, please call 760-765-0222 for immediate assistance. We hope you have an enjoyable stay at the Julian Apple Tree Inn.